Not every release at CES 2017 is a game-changing hit — some of it doesn’t even make sense. Here’s the best of the best. CES has always offered us mortals a glimpse of the rarified world of extremely high-end hifi audio gear, such as loudspeakers and turntables that sound fantastic, and cost about as much as an Acura. 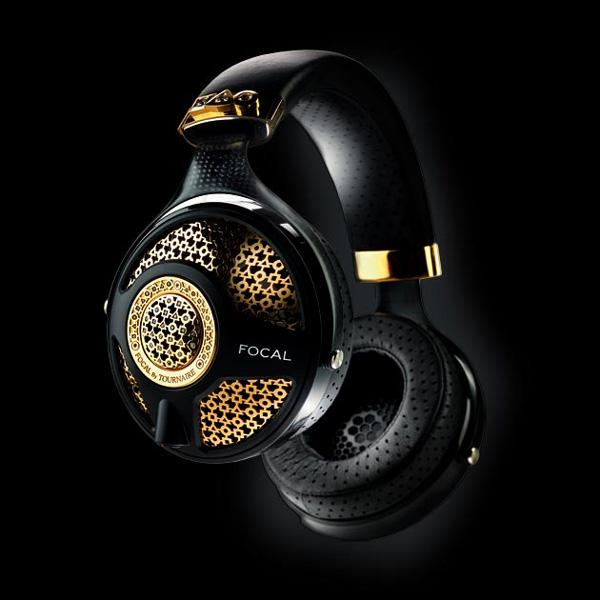 But that’s garbage, fodder for plebes, compared to Focal’s Utopia by Tournaire headphones, which cost $120,000 — or more than a fully-kitted Porsche 911. The headphones themselves clock in at $4,000. The remaining $116,000 pays for the 18 karat yellow gold accents and 6 total carats of jewels. And because you’ll need a classy way to display these technologically unremarkable cans to the roving hordes of burglars circling your villa like vultures, why not splurge for the hand-burnished, yellow bronze dedicated stand, priced at $12,000. Amazon’s Alexa voice-controlled software was everywhere at CES, showing up in a wide range of products, from Echo clones to smart fridges. The platform is also, for no discernible reason, in this humanoid consumer robot. The Lynx accepts all of the usual Alexa voice commands — reading weather forecasts and e-mails, playing music, adding items to Amazon shopping lists — but where a smart speaker sits in one spot in your home, this thing marches around. This yet-to-be-priced robot does have a few features that Echo doesn’t, like a camera and face-recognition software, so it can identity the human inevitably kicking this pointless thing down the nearest staircase. What’s that you say, you can’t afford those gold-and-diamond encrusted headphones? You’d do well to lower your voice, and settle for Monster’s new AirLinks Elements wireless Bluetooth earbuds. Like Apple’s Earpods, these are genuinely wireless earphones, with nothing connecting them to your phone or to each other. Other companies might have stopped there, and trumpeted their wire-free innovation and lack of the Earpods’ strange tubes that appear to ooze out of both ears. 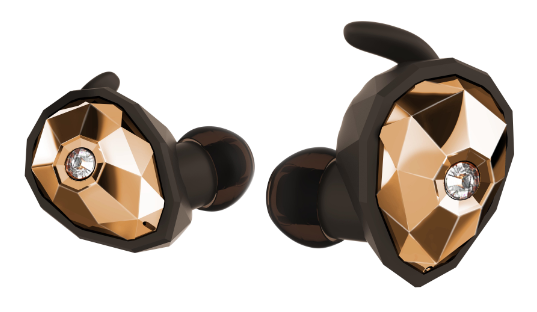 But this is Monster, so the $300 AirLinks Elements are covered in fake gold and feature a central, also-fake, diamond, because everyone wants to look like they’ve hammered costume jewelry into their ear holes. One of two laundry-folding robots at CES this year, the Laundroid isn’t, as you might imagine, a sassy, maid-uniformed Rosie-the-Robot-style machine. It’s a massive, towering wardrobe that gradually folds clothes left in its bottom drawer — using a robotic arm that you’ll never see, unless you contort yourself into that drawer yourself, or send in a brave child to report back — and deposits them in its upper chamber. Sadly, it takes about 5 minutes to fold a single T-shirt. Sadder still, this is Laundroid’s second straight year at CES. Always a bridesmaid, never a one-trick robo-maid. If Nike wanted to save its customers a little time and effort, it could have made some slick slip-on sneakers, or even a retro-chic number with Velcro flaps. 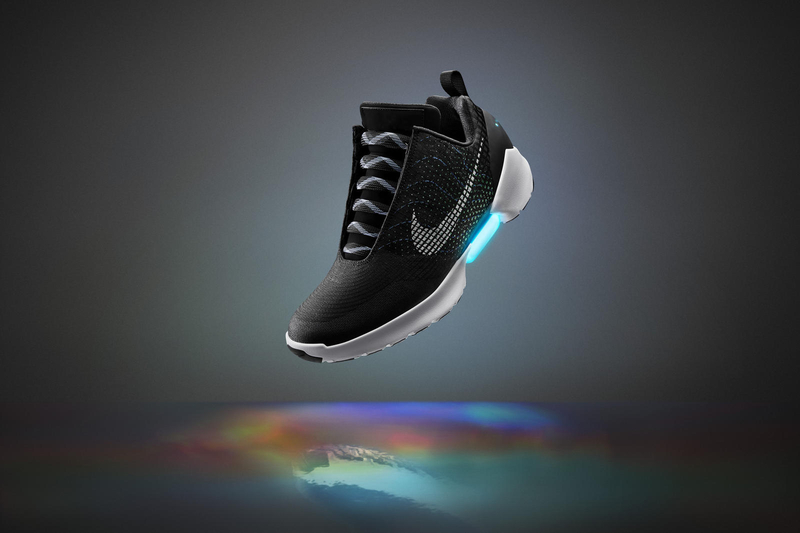 Instead, it created $720 sneakers that automatically lace themselves. The laces tighten when your foot hits the heel sensor, and you can adjust the fit with side-mounted buttons. Not quite fresh enough? How about lights that activate during this lace-tightening procedure, to announce to the world that you’re a busy sneaker wearer, and don’t have time to tug at laces like some common chump. But the coolest thing about these dope kicks is probably that you get to recharge them every two weeks or so, or else they won’t lace themselves, and will no longer work as shoes. Believe it or not, it’s a good thing that the consumer electronics industry has birthed something as silly as a WiFi-connected shower system. Sure, U by Moen’s features could save environmental ruination — curbing, say, your teenager’s suspiciously long showers by programming when the water shuts off. But then again, you might be tempted to turn the shower on with your phone while you get a little “extra snooze time” (that’s ) thus offsetting any water saving. To unlock these meager capabilities, you’ll need a professional to install a digital valve controller and LCD screen. The good news: This is early evidence that the smart-home category has grown very big indeed. 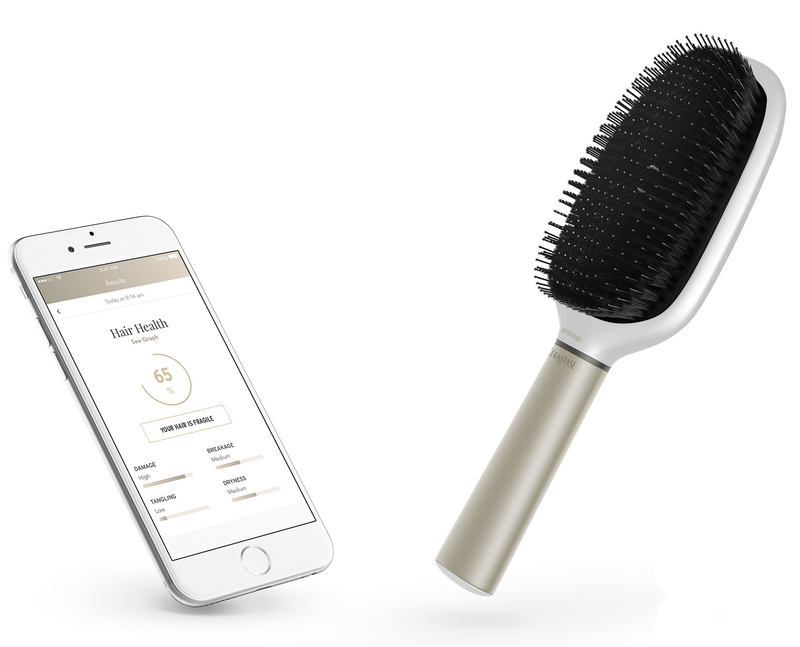 Here’s what the world’s first Bluetooth hair brush — a collaboration between Withings, Kerastase, and L’Oreal — can do for you. The Hair Coach “listens” to the way you’re brushing your hair, and offers guidance toward better stroke form. It detects whether you’re brushing wet or dry hair, and reminds you not to do the latter. It counts your total brush strokes per session. It also supposedly gauges the health of your hair, a potentially useful feature, if you can handle all the micromanaging.